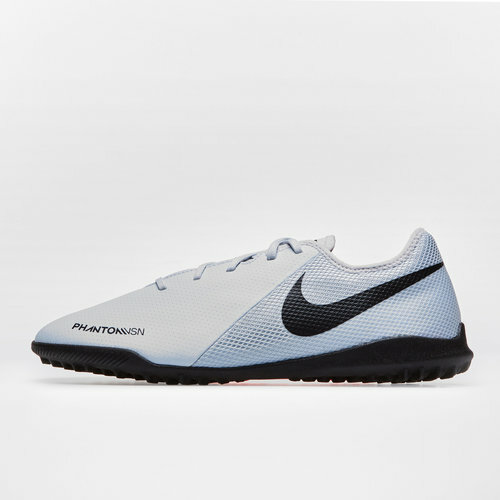 Designed to give you the ultimate touch show up your opponents with these Nike Phantom Vision Gato X Turf Football Trainers in Wolf Grey, Pure Platinum and Total Crimson. These Nike football trainers give you the precise touch to win on turf pitches. The webbing on the laces helps secure your foot while the textured material gives you a precise touch to receive, turn and score.